The return of 22 green dots meant a lot of relief for coaches around the globe. There were plenty of big scores on offer to help us celebrate even if you took Lloyd’s loophole 125 over the monstrous performance the Notorious P.I.G. dished out. Things are starting to get tight and every trade is crucial at this time of year. With some scarce POD options, it’s time to get creative. I’ve been pushing for Michael Hurley a few times now this season. Although he doesn’t boast the huge ceiling, Hurley’s consistency is what appeals to me. Yes, there have been a few blemishes, but you can virtually pencil him in for an 85-95 each week no sweat. Safe. I swear I have a man crush on Cutler. I have mentioned him a few times before in the FFF, however, he has never really delivered to seriously warrant selection. Still, 200 points in two weeks has forced me to add him to the watchlist. Is Adams back? One of the hottest questions in the league right now is if we can trust his numbers from the past month and a bit. I think we have enough of a sample size now to show this is no fluke and while we won’t be feasting on 120’s every week, Adams is severely underpriced if he can average over triple digits from here on out. Call it a hunch, call it a gut feeling but I’m very tempted to get on Marc Murphy. When he’s on the park there’s no denying he can put up numbers. However, injury has derailed his 2018 campaign and I’ll need to see him string some games together before he joins the Large Fry’s & Coke. Monitor his progress though. Trengove’s awkward price makes him tough to grab in classic. For your draft league though, well that’s an entirely different story. Trengove is a great gamble to take this late in the year if you need to hit gold from the scrap heap. Do it before someone else in your league does. Who knew Rhys Stanley could fantasy football? 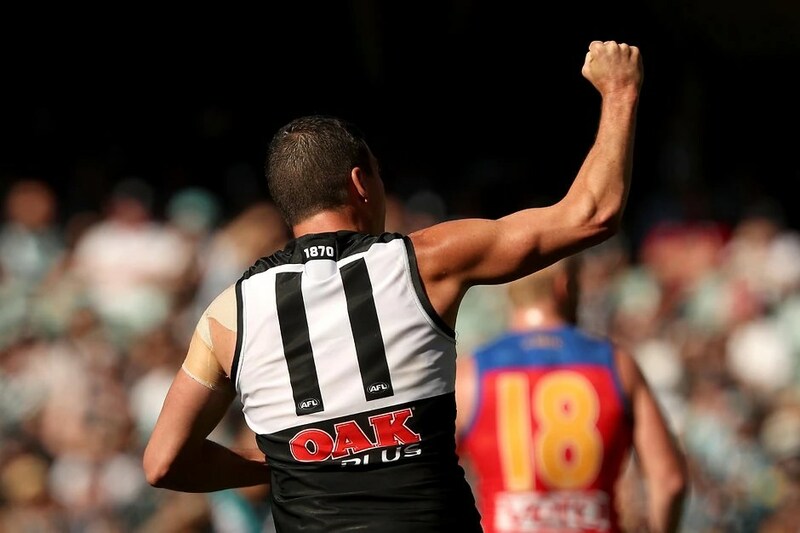 Either side of the bye the big Cat has messed around and scored in triple figures, raising the eyebrows of coaches. While I’m not optimistic these numbers will continue, stranger things have happened. Once again, someone who is priced at a weird spot is ruled out of our classic teams. With Aaron Sandilands’ calf playing up though Darcy will probably get much more game time now he is healthy during Freo’s run home. In fact, I wouldn’t rule out Sandi being put on ice ASAP, giving Darcy an intruiging half a dozen games for the run home. I was worried that Langdon’s numbers would dip when the Hill brothers returned to the fray. I still might be right, but while I’m busy waiting for that to come true Langdon has racked up points like it’s nobody’s business. With Fyfe down, he’ll stay hot for the foreseeable future. Want to get really creative? Invest in Dogs youngster Josh Dunkley and don’t look back. With Isaac Heeney (more on him soon) and Robbie Gray on the chopping bloke for a lot of coaches, Dunk could be an appealing and unique choice. After his hot start to the season, Hutch has cooled (duh) and as a result, a lot of coaches jumped off the wagon. He did throw up a 114 against the Crows though and if he has another decent score then he could warrant a bench spot in your MID/FWD line. Which Rook Do I Grab, Sier Or Narkle? To be honest, I missed a lot of the Cats game, so this opinion might be a bit biased. I saw the all the impressive numbers and read about all the midfield time he played. Yet, I still think I like Sier more based on the injury to Adam Treloar. With him out, Sier has better job security in my mind over Narkle. If you are in a position to grab both that could work, but if you want one go Sier. To Hold Or Trade Heeney? One week injuries are a scary prospect for fantasy coaches. Are they really only going to be out for one week? Or will we be facing another Josh Kelly scenario? Isaac Heeney’s case is a little different with a concussion causing his absence against Geelong. All signs point to him making a triumphant return in Round 17 and as an owner, I think it’s wise to hold. Is It Time To Sell Bayley Fritsch? For the first time this season fantasy rookie of the year Bayley Fritsch went down in price. For roughly a quarter of the competition, Fritsch has been an awesome cash cow and virtually puts up reliable premium-ish numbers. All good things come to an end though and after dipping slightly in price it might be time to offload the Dees youngster. With a breakeven of 96 it might be wise, but he survives for another week in my team. Rory Laird, Crows (102) – Welcome back! Jack Trengove, Power (92) – Put him on your watchlist. Michael Walters, Freo (73) – I stuck my neck out for you Mick. Need a 90+ this week. Rory Sloane, Crows (68) – What a bizarre season from Sloane. Will he stay or go? Mitch Robinson, Lions (65) – The Lions shared the joy around against Freo. He’ll be better this week. Rory Lobb, Giants (57) – What a letdown Lobb has been this season. Good luck for Round 16! Have plans for Fritsch as next week I’ll downlown him for Narkle then I can finalize my backline by bringing in a topline def ( Brayshaw, Goodard or Simpson ) and that will be my team b4 I start upgrading players. Yeah next week he might go for me too. Sad to see the back of him, but a necessary evil. Should be good this week, but there are a few tricky games coming up for the Lions. If he can stand and deliver though eh’s definitely worth a shout. 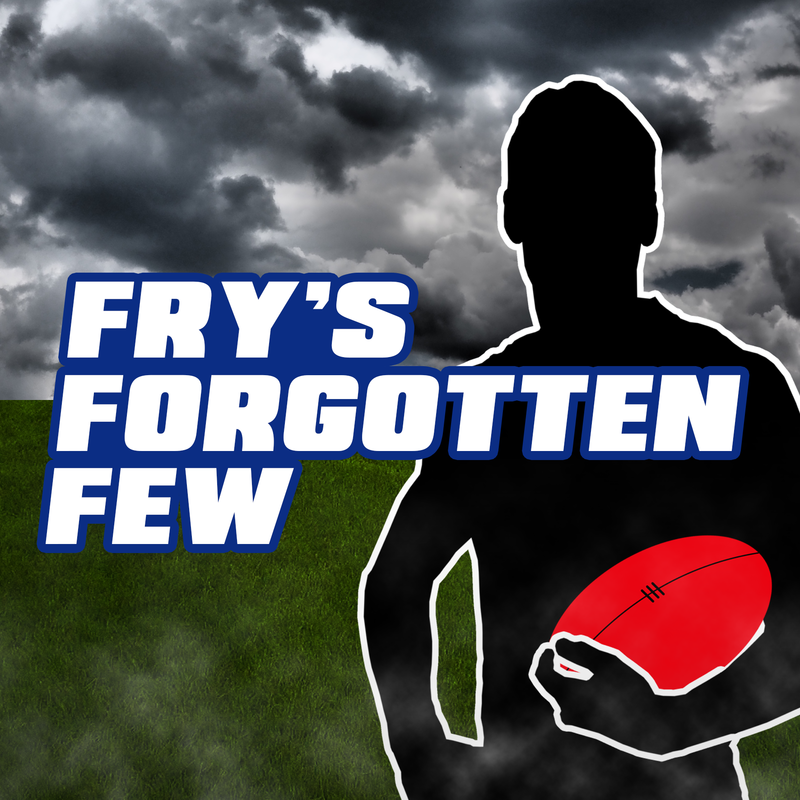 Who to bring in for Fyfe? M crouch or Pendles? What does everyone think of Shaun Higgins as a POD? Could be good, has a good run ahead going by the scale of hardness. Upgrade Austin or Rice? To Brayshaw or Laird? take Selwood as VC for 127 or gamble titch? Hindsight ‘phew’ … glad I backed out of bringing in Narkle this week. Not happy that I went Simpson over Lloyd…. If you were only getting Narkle to sit on your bench the it wouldn’t have been a bad move – his BE was so low his price has increased nicely. And he actually played a quite a decent game and will hopefully hold his spot. Don’t judge your premos on the basis of one game – Simpson could score just as well for you! Also, Narkle would have been on ground for me this week, covering for Heeney with DPP as that scenario – hence glad it didn’t happen. The poossible scenario was downgrading Narkle in this week, allowing for double premo upgrades next week. I realised with so much week-week carnage, such a plan would be foiled. Need to trade out Fyfe but stuck between Kelly & Gaff? GWS have the tougher run but Kelly can handle a tag better. I’d be wary of getting Crouch this week with his ‘injured’ hand even though he’s playing. The near $200K you save makes it worth it though I guess.